Place 1 roll (16.5 oz) Pillsbury™ sugar cookie dough, 1 egg yolk, and 1/2 cup all-purpose flour in large bowl. Beat with electric mixer on medium speed until smooth. 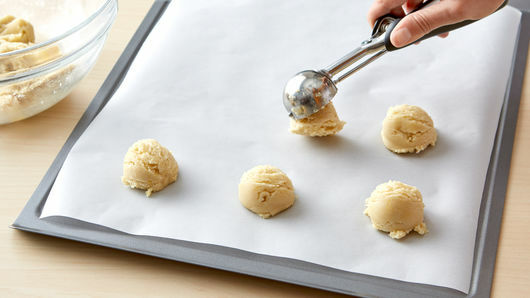 Scoop 2-tablespoon-size balls of cookie dough onto cookie sheets covered with silicone baking mats or cooking parchment paper. Refrigerate dough balls 15 minutes. Heat oven to 350°F. Bake chilled cookies 12 to 14 minutes or until light brown. Cool completely before frosting. In medium bowl, beat 3 tablespoons softened butter, 3 cups powdered sugar and 1 tablespoon vanilla with electric mixer on medium speed. Add milk, 1 tablespoon at a time, until desired frosting consistency. Frost cookies. Decorate with sprinkles. Store loosely covered at room temperature. Color your frosting with food color, and top with candy sprinkles for a fun party dessert. 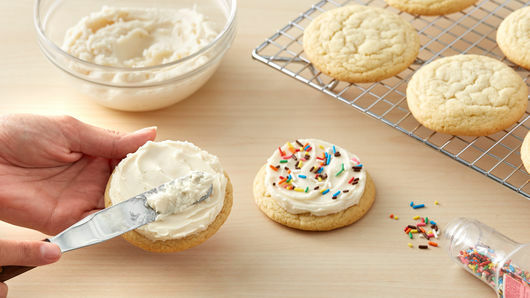 Skip the frosting, and make ice cream sandwiches with your soft sugar cookies! 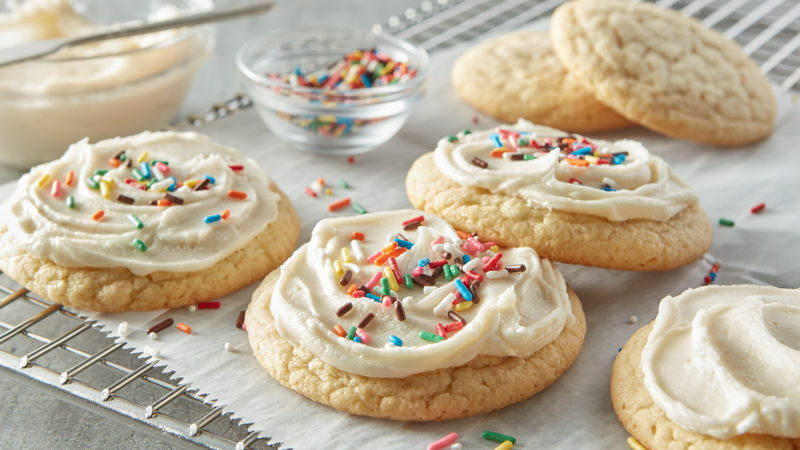 We love this genius shortcut to bakery-style sugar cookies using Pillsbury refrigerated sugar cookie dough. Whether you make this recipe or a scratch version of soft sugar cookies, there are a couple of key tips you should keep in mind to ensure your cookies bake up perfectly. First, make sure you don’t skip chilling the dough before baking. Though it’s hard to wait a few extra minutes, this step is essential if you want your cookies to hold a nice, even shape. Also, be certain that you allow your cookies to cool completely before frosting. 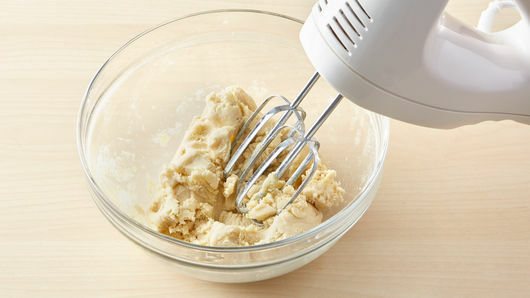 If you add the frosting too soon, it will melt resulting in messy-looking cookies and an especially messy kitchen. The easy frosting used in this recipe can be whipped up quickly, so wait to prepare it until the cookies are cooled so you aren’t tempted to frost too early. You can also easily add a few drops of food coloring to the frosting to match the holiday—try red and green for Christmas, orange for Halloween or pastel colors for Easter!